It was only a couple of months ago that we were reflecting on Jesus’ baptism, and what it means for our own baptism. Here, in our Gospel lesson today, Mark tells us what happens next. One might think that after such a powerful event in which Jesus’s identity as God’s beloved Son is revealed, as we see that God is revealed to be Father, Son, and Holy Spirit, that the next logical step would be to immediately rush into public ministry. Instead, the Spirit drives Jesus into the wilderness. Mark gives us so little information, and yet it is clear that something is different before and after the wilderness. In his Baptism, Jesus’ identity has been revealed and his mission initiated. After he emerges from the wilderness, Jesus picks up here John, who has been arrested, has left off, proclaiming, “The time is fulfilled, and the kingdom of God has come near; repent and believe in the good news.” The difference, of course, between John’s proclamation and Jesus’ is that John was pointing to Jesus, but when Jesus says, “the kingdom of God has come near,” he is pointing to himself. Jesus’ presence, as he emerges from the wilderness finds those he encounters, and us, as the one whom the voice from heaven named as God’s beloved. It is an encounter with the Kingdom of God because it is found in him and he embodies it by his very life. And yet, he feels the need to go into the wilderness. We also find ourselves beckoned there by him. For many of us, this isn’t how we would have our first experience after baptism and/or join the church. We are part of the community, we have received our baptism, and we are ready to get to work. And yet, before Jesus begins his public ministry, is driven to the wilderness. Why would we follow Jesus into the wilderness, besides the obvious that he bids us to follow him wherever he may go? Why walk with Jesus into the wilderness? I had a friend in seminary who thought that Lent was foolishness. He wasn’t from a liturgical tradition, which is certainly fine because not everyone is. But he would always wonder aloud, “Why are you all spending forty days feelin’ all bad all the time?” For him Lent was the ultimate bummer. He wondered why, if we have the joy of Jesus Christ in our lives, should we spend forty days bumming ourselves out? Perhaps that is not what is happening in Lent. It may appear that way to those who are not familiar with the practices. Perhaps it suggests that the joy that comes in the Lord is more than just being happy all the time. Perhaps it suggests that going out in the wilderness from time to time is part and parcel of being shaped like Jesus. We find ourselves beckoned to the wilderness, not just because Jesus is there, but because we know that God shows up in the wilderness. A quick look at the history of God’s people, in the story of Israel as well as the Church we see again and again that God shows up in the wilderness. 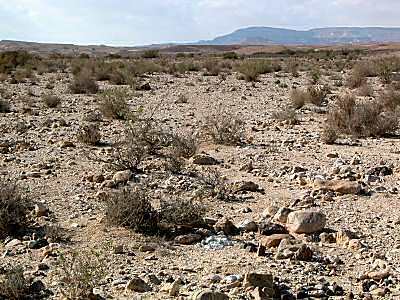 Even as the Israelites wander through the desert, God is ahead of them and behind them. When the early church experienced the wilderness of martyrdom, it was an incredible time of growth in the life of the Church. So, we find ourselves confronted by a call to the wilderness, even as we find ourselves confronted with the fact that we live in a society consumed with consuming, and things like Lent doesn’t make much money. A call that finds us being shaped differently. A call that suggests that to come to waters of baptism, while we receive our new identity there, it is an identity that we will spend the rest of our lives living into. And so we journey together into the wilderness, preparing for the great feast of Easter. The first way that we enter into this preparation is we shape ourselves different as a worshiping community. We still gather together. We still proclaim the resurrection each time we gather together as church on Sunday. And yet, we operate differently. We mark time differently. For example, that we don’t stop doing Holy Communion during Lent, but you may have noticed on Ash Wednesday, and you will notice the next time we share Communion that we will not sing the Communion responses during Lent. It is a way to continue to practice, and at the same time it is to recognize Lent as a “lean” time, a time of introspection, of change. It is a time where we continue our practices, even as we recognize that we are walking with Jesus in the wilderness. The result of this is that when we gather together on Easter and meet at the table, after we walked with Jesus to the cross, after we have followed Jesus to the grave, and after we emerge with Jesus from the tomb, our song of Christ’s saving body and blood shall again ring out! Another way that we mark this time differently is by the practice of “burying” our alleluias. “Alleluia” is a word that is deeply associated with Easter. Therefore, when we are in Lent, we bury it, we covered it, and we live together knowing that the Allelluia is still there, but we are preparing to shout it on Easter. We still proclaim the resurrection each week, but we know we are walking with Jesus in the wilderness. It a time of barrenness. It is a time of denying ourselves. Futher, we know that as we mark time differently as a community, we also mark it different individually. We “give up” things for Lent.” Not to show how righteous we are. Not to prove how much we love Jesus. Rather, we deny ourselves during Lent in order to remind ourselves of our utter dependence on Christ, that we “do not live by bread alone.” In doing that we open ourselves up to the Spirit’s re-shaping of who we are. Lent is a time of refining where the dross is burned away in fires of self-denial and the power of the Holy Spirit. However, when we give up things for Lent, we must be clear that this is not an endurance trial. Remember, Naaman expected some sort of difficult trial in order to receive healing. And yet, he only had to wash in the river seven times. Lenten disciplines are not an endurance trial. If we just fast, and we don’t replace that time of eating with prayer, then we are undertaking nothing more than a holy diet. Even more deeply, we are called to reflect on the reality that as we gather together and as we seek individually to observe a Holy Lent that we must also be careful to not let our practices be distorted in such a way as to contribute more deeply to those thoughts and actions that oppress and destroy us. Lent is about becoming more human, not less human. Christian virtue is about moving towards a mean. Lent is about embracing Christ as the beginning and end of our lives. Perhaps, for some of you among us, men and women both, there are things that we need to give up or take on to become more human. And that might not always mean stopping eating. For some of us, it may mean to begin eating. This same professor in seminary speaks of a time when she recommended that a young woman with body image issues bake herself cookies every day during Lent. For this woman, such a discipline became a time of healing, even though we might at first glance consider her actions a sign of indulgence. Or perhaps we find ourselves in Lent giving up our own sense of entitlement. I have two friends that I am planning on paying close attention to this Lenten season. One fellow pastor has committed to live using only the equivalent amount of money that she would get from food stamps. That’s $30 a week, by the way. The other is a guy I went to seminary with who gave up his house for Lent and has resolved to live as a homeless person during Lent. Giving up the things that separate ourselves from Christ and from one another. This is to become more human. Even as I fast myself at different times, even as I recommend fasting to others, I also wonder about the places that my recommendations might do damage. What does it do to a group of people, who see television commercials, constantly telling them “DON’T EAT!” to say, “For Lent, don’t eat”? The worse thing I could do as your pastor is to baptize that message without qualification. Perhaps the fast to which some of us are called is to fast from doing things that destroy us. From running ourselves ragged. Perhaps our fast must be from busyness. Perhaps it is for those who have felt unable to speak for one reason or another to give voice to the pain that is within them. The question before us as we begin this Lenten journey, as we follow Jesus to the cross, to the tomb, and to the resurrection, is “What do I need to give up to become more human?” More human in the way God intended us to be. Human in the way that Jesus makes possible because he himself became like us and draws us into his perfect body. What are thing things we need to give up to become more human? Additionally, one of the pieces of Lent that is often left out is almsgiving. When we give up something that costs money, we aren’t called to just pocket it that money. That would be “holy budgeting.” Instead, the money that we save from our fast should be given to those in need. So, one of the challenges that we have before us during this Lenten season is that if we do give up something during this season, is to save that money, and to contribute it towards the Stop Hunger Now Event that will be happening on March 24 at Mount Hermon UMC. Even as we see that we do not live on bread alone, we also have the opportunity to provide bread to those who lack it. here are times in our lives we can name where we’ve been in the wilderness without asking for it, and those are often times of transformation as well. But during Lent, as we choose to walk in the wilderness, what are the things we need to give up to become more human. As we walk with Jesus in the wilderness, and dig a hole and bury our Alleluias there, we wait for those seeds to blossom at the resurrection. As we live as a people who walk in the wilderness, all the time knowing, feeling that tension building up inside ourselves, that excitement about Easter, where are the places that Christ needs to make you more human during this Lenten season? Marilyn McCord Adams, “Theological Perspective,” Feasting on the Word, Year B, Vol. 2, (Louisville: Westminster John Knox, 2008), p. 46. Amy Laura Hall, “Eating Chocolate for Lent,” J. Kameron Carter’s Blog, Online: http://jkameroncarter.com/?p=1003, cited February 26, 2012. Gavin Rodgers, Forty Days of Haven, Online: http://www.40daysofhaven.com, cited February 26, 2012. Adams, “Theological Perspective,” Feasting, p. 46. The books of Samuel are the beginning of a time of great transition in the life of Israel. Most crucially it is a time of transition from Judges to a King. We remember the Judges like Deborah and Samson. These Judges arose as charismatic, divinely appointed leaders that rise up in response to trouble in the life of the Israelites, which is normally caused by their turning away from God. Yet, we see in the books of Samuel that God’s people are no longer satisfied with the Judges. The people want a king. They want to be like the other nations (1Sam. 8). Even though this leads us into some of the great figures of the Old Testament, such as David and Solomon, it is clear that the author is mistrustful of the monarchy. After all, if the Israelites have God, why do they need a king? Further, it is always a sign of trouble when God’s people seek to be like the other nations. God’s people are called to be distinct, to live differently. When we start wanting to fit in with everything around us, problems and idolatry are not far away. In addition to a transition in leadership from Judges to Kings, there is also a priestly transition. It is the transition of the lineage of Eli to the lineage of Samuel. Eli’s family has squandered their role as God’s priests because his sons are as corrupt as can be. They would come by while people were offering sacrifices, and they would thrust their fork into the container, and pull out as much as they could. It wasn’t that they weren’t supposed to have any at all. It was customary for them to receive a portion of the sacrifice, they were abusing their power and responsibility. Even worse, they would take advantage of the women who served at the entrance to the tent of meeting. In our era, where we see pastors regularly abusing their power and position, we can identify with the deep violations committed by Eli’s family. Eli tries to reason with them, but they don’t care. Not long after this, a “man of God” delivers the bad news to the Eli. Even though God chose Eli’s family to be God’s priests, now as God looks at the abuses of Eli’s his sons, the sentence is that Eli’s sons will both die on the same day, and the rest of Eli’s family will die by the sword. God promises to raise up a new “faithful priest, who shall do according to what is in [God’s] heart and [God’s] mind.” (1 Sam. 2.12-36). This faithful priest will be Samuel. Our Old Testament lesson today is that familiar story of Samuel’s call. It is one we know well. Because God granted her a son in Samuel, Hannah has turned over Samuel to be trained by Eli. God calls out to Samuel in the night, “Samuel!” which literally means, “God has heard.” Samuel mistakes God’s call for Eli. Eli tells Samuel it wasn’t him and sends Samuel back to bed. It happens again. Then Samuel turns up again. The third time, Eli, this priest who has lived a life of service to God, full of experience, though his eyesight is dimming, perceives that it may be God calling out to Samuel. He tells Samuel, “Go, lie down, and if he calls you, you shall say, ‘Speak Lord, for your servant is listening.’” When Samuel does this, God reveals to Samuel what will happen to Eli’s lineage. I love that the author describes Samuel lying there until morning. I don’t imagine it is easy to sleep after hearing such a Word? And imagine what Samuel must have felt when Eli wants to know what God has said. Yet, Samuel trusts Eli, and Eli knows what his sons have done, and Eli knows and is known by God well. Eli still trusts in God, even though Samuel has bad news for him. This story of Samuel has a lot to teach us. Yes, it is a story about calling. Yet, the character of this story about calling is different than the ones we usually hear. Samuel isn’t like Isaiah being caught up in a blazing flash of heavenly worship and given a specific charge. Isaiah’s call is unmistakable. Samuel, on the other hand, doesn’t even recognize that God is even speaking to him at first. He thinks it is Eli. In fact, it takes the suggestion of Eli, with Eli’s “knowledge of the Lord, and his experience of the revelation of God’s word” to alert Samuel that the voice he hears is God’s. The young Samuel needs the experience of the one who has gone before him to help him see that he is being called. The other thing that is striking about Samuel’s call story is that it is not instantaneous like many of the ones we hear. There is no blazing bush calling out to Samuel here. Instead, Samuel’s call emerges over time. Samuel is in Eli’s care, and Eli helps him to grow, to learn the ways of God, and to learn how to serve God. He grows up in the Lord. Even after the call, Samuel’s trajectory doesn’t change a great deal. Instead, he continues to grow in the role to which God has called him as one of the last judges over Israel, bringing God’s word to the people. All of this comes with Eli’s guidance and support. Eli is incredible here. How many of us would keep going when we heard that bad news from Samuel? We spend our whole lives as a priest of God, and suddenly we hear that it is all going to be taken away? Not only that, but it isn’t because of anything we did. Rather it comes as a result of what our children have done? Yet Eli remains in his role of priest. Just as importantly, Eli remains in his role as Samuel’s mentor. He assists Samuel in hearing God’s call, and when Samuel hears God call, Eli helps him live into the role to which God is calling him. What we see in the relationship of Eli and Samuel is a model of who we are called to be as a community of baptized persons. We noted last week the promises that we make when someone is baptized. We promise to embody a community of love and forgiveness with the guidance and support of the Holy Spirit. We promise to pray for one another that we might be found faithful disciples of Jesus Christ. In essence, we are promising to be a community where older priests help younger disciples pay attention to and hear God’s call in their lives. We are promising to be a community where younger disciples find themselves apprenticed to older priests, so that as they grow up, they will be able to rely on the knowledge and experience of God of the older priests. Why priests? As I pointed out last week and at other times, baptism is the ordination of all Christians into the priesthood of all believers. We are all called. We are all holy priests. Though we as priests may not share Eli’s curse, it is true is that none of us will always be here. It is true that one day our lineage will run out. The lineage that God creates comes not through flesh, but through water and the Spirit. There will be a new generation that God will call to be priests when we are God. The older priests are called to be Elis for the Samuels among us. The older folks are responsible for helping take care of, guide, and mentor the younger ones among us. I’m not going to tell you who the older priests and younger disciples are because at one time or another, all of us have, still do, and will fall into both categories. We’ve all been younger disciples, and we’ve all been older priests. God calls each and every one of us to be older priests to those younger disciples no matter our age. It points to God’s call on all of us as younger disciples to rely on the wisdom of those who have come before us. In a time of radical change, where the Word of the Lord is rare, the older priests must be willing to mentor those who will maintain the faith and traditions of the Church. To do this doesn’t mean that older folks hold on to the church and give to the young when they are finished with it. It means that we are called to look for, to listen for, and to help younger folks to recognize when God might be calling out to them. It is our responsibility to be present with disciples who are younger than us to help them hear God’s voice. They might not know it is God. It might sound like just a friend. Or it might sound like just a teacher. Surprisingly, it might even sound like just a parent! But it could be God. If Samuel’s story tells us anything, it is that younger disciples might not recognize God’s voice. It might take an older priest asking the question, “What if that deep passion you feel, that deep inclination towards this or that vocation…what if that is what God wants for you? What if in your baptism, God’s grace is drawing you towards this?” A younger disciple might not realize that what is going on deep in their heart and keeping them up at night is God’s voice until they have that holy conversation with an older priest. When it comes down to it, how do we know when it is God, and when we might just be talking to ourselves? We hear lots of pastors, politicians, and other people suggesting that God is telling them things. That God is speaking directly to them? How do we know when it is God and how do we know when it is just us trying to make God want what we want? How do we know? Some of us lamented this difficultly during the youth lectionary bible study. One youth wanted to know why there aren’t burning bushes anymore. Yet the reality is that Samuel and Eli shows us that God still speaks, but we need ears to hear. We need older priests who have heard God longer to help our younger disciples to perceive when it is God and when it isn’t. The younger disciples in turn will also find themselves sharing their visions and dreams with us. We need each other. We need the community of the baptized to help us realize when it is God talking and when we are just talking to ourselves. It takes the faithful, experienced, Elis of the church being willing to take the time to listen to the stories, the desires, and experiences of the Samuels among us. That might mean you are a senior adult, and you are called to be an Eli to a youth. It might mean you are a youth and you are called to be an Eli to child. And though I have broken it down by ages, there may even be times when younger persons are called to be priests to older persons. After all, once Samuel perceives that it is God, he shares that Word with Eli. The fact is, each of us are Elis called to help Samuels hear God’s voice, so that as they mature and develop they might connect their deepest to desires to the needs of the world, the needs that God is calling them to meet. We are, as Peter says, “ a chosen people. You are royal priests, a holy nation, God’s very own possession. As a result, you can show others the goodness of God, for he called you out of the darkness into his wonderful light” (1 Peter 2.9). We are called to show that goodness to our younger disciples, so that all of us might able to show God’s light to a world full of darkness. And to be clear, this need not just be a male model. We see it throughout the Scriptures the same mentoring relationships developing between holy women as well. Consider that the bridge between Judges and 1 Samuel is Ruth, who bound herself to Naomi in a holy friendship. You can even argue that we see in Ruth and Naomi and Eli and Samuel a holy adoption, created by bonds God created, not the bonds of flesh. We know our own holy adoption because God adopts us in baptism, and we adopt one another. We become God’s children, and we adopt one another. This is an incredible responsibility. Yet, it is also an unimaginable gift. And when we open ourselves up to that responsibility God is able now, just as God was able in Samuel’s time, to do something that will make “the ears of anyone who hears of it tingle” (1 Sam. 3.10). Are your ears tingling yet? The Title for this Sermon came from a comment from Richard Boyce in Feasting on the Word, Year B, Vol. 1, (Louisville: Westminster John Knox, 2008) p. 247. Richard Boyce, “Exegetical Perspective,” Feasting on the Word, Year B, Vol. 1, (Louisville: Westminster John Knox, 2008) p. 243. Boyce, “Exegetical Perspective,” Feasting, p. 245. Unvirtuous Abbey, “Do You Hear what I Hear?” on The Hardest Question, Online: http://thehardestquestion.org/yearb/epiphany2ot-2/, cited January 14, 2012. The Pharisees have realized that they are going to have to do something about Jesus. Even though Jesus has been speaking in parables, they see that Jesus is clearly pointing to their failure to be good vineyard workers. He is pointing to the reality that they have declined God’s invitation to the Son’s wedding banquet. In order to do something about Jesus the Pharisees send some of their disciples along with some Herodians to visit with Jesus. This is an unlikely alliance. Jewish folks in Jesus’ time are an occupied people. They are occupied by Rome. The Pharisees would not want associate directly with their occupiers. It would ruin their credibility with their fellow Israelites. The “Herodians,” on the other hand, are loyal to Herod, who was placed in power by the Romans. The Herodians are likely to cooperate with Rome. We would not assume, then, that the Pharisees would have much to do with Herodians. Perhaps that is why the Pharisees send some of their disciples instead of going themselves. Like so many who hold religious and political power, the Pharisees are willing to bend their convictions just a little bit in order to do something about Jesus. What a good trap they have set! On the one hand, if Jesus tells them not to pay taxes, it will out him as a rebel, a seditionist, someone not to be trusted by the government. Such words by Jesus would certainly be grounds for an arrest as an enemy of the state. On the other hand, if Jesus tells them to pay taxes, he will look like he is sympathetic for Rome. To do this would be to lose all credibility with his fellow occupied Israelites. What will he do? Jesus doesn’t buy their flattery, and he makes sure they know he recognizes their hypocrisy. Jesus asks for a denarius, which is the coin that was used for the tax to the emperor. “Whose head is this, and whose title?” Jesus asks. They answer, “The emperor’s.” Jesus replies, “Give therefore to the emperor the things that are the emperor’s, and to God the things that are God’s.” Matthew tells us that the Pharisee disciples and the Herodians are “amazed” and they leave Jesus. What has Jesus done here, exactly? Why is this answer amazing to them? Often, when we hear this answer, we don’t really consider it amazing. Is this because we are so familiar with the interpretation, or is it that we are inclined to interpret this passage in an unamazing way? I would lean towards the latter. Jesus’ response to his interlocutors is brilliant because he answers the question without falling into either of their traps. In describing the coin’s appearance, he avoids losing credibility with his fellow Jews. This denarius would have been a silver coin, “bearing on one side an image of the emperor, Tiberius, with an inscription ascribing divinity to him.” To have such an image, combined with the description of the emperor as divine would have been a clear violation of the first and second commandments barring the worship of any other gods and making idols. To carry the currency of Rome would have been to potentially commit idolatry. This would have been a familiar problem to any of Jesus’ fellow Jews, and it would have made it clear that he was not in cahoots with Rome. Additionally, by recommending that they be given back to Caesar, he is not showing the kind of open resistance to the occupying power that will get him immediately arrested. Jesus’ answer is often interpreted to suggest that we live with a dual loyalty to God and the state. God gets what is God’s, and Caesar, which stands for the government, gets what rightly belongs to him. The problem is that Caesar is not a neutral term here. As we see from Jesus’ answer, this is not really about paying taxes. This is not a simple discussion about divided loyalties. This is not about acting publicly as a citizen and privately as a Christian. Jesus knows no difference between these two realms. While Jesus doesn’t say anything to get himself arrested in this moment, we know that later he will be arrested, and that one of the charges against him will be that he is an enemy of the emperor. To give those coins back to Caesar is to return those false idols to their source. Caesar’s coin bears his idolatrous image. Therefore, those who ask Jesus this question and hold coins that bear the emperor’s image show themselves to be more faithful servants of the emperor than of God. Jesus names clearly that the idolatrous coins should be returned to Caesar because they bear his image. If we are to give to God what is God’s, what bears God’s image? We bear God’s image. We are created in God’s image. Relationally, this means that we cannot turn others into objects or persons to exploit. Instead, we treat them as ones in whom God’s image dwells, even when some folks don’t show that image very clearly. As Christians, we are called to bear God’s image in such a way that those with whom we come into contact will encounter God’s love. We are not left to this task alone. If it were simply up to us to bear this image, we would be in deep trouble. This image was badly damaged at the fall, and sin is still a disease from which we badly suffer. As we saw last week, God’s grace is required for us even to recognize how sick we are. We will see this morning the primary place in which we become the image bearers of God. It is the place where those who belong to God begin their return to God. It is in Baptism. When we come to these waters, and the name of the Father, Son, and Holy Spirit is spoken, God claims us as God’s own. It is in that moment where we most clearly recognize that we belong to God. Give to God what is God’s. In Baptism, we belong to God. When we seal the baptism with an anointing and prayer to the Holy Spirit, the oil is placed on the forehead of the person being baptized, and we say, “The Holy Spirit work within you, that having been born through water and the Spirit, you may live as a faithful disciples of Jesus Christ.” We are inscribed with God’s claim on us. We belong to God. God has claimed us. The grace that we meet in the sacrament as the waters pass over us are the beginning of a grace that follows us entire lives. At this font this morning, when Lani is baptized, this is the beginning of a grace that will follow her for her entire life. Baptism is the place where our story is firmly situated with God’s story. If we respond to this grace it will lead to recovery of God’s image in in us. If we respond to this grace, we will grow in our understanding of the ways our story is part of God’s story. Today is Laity Sunday. The reason that we have a Laity Sunday is that laity are worth celebrating because much of the work of the church is done by the laity. You might then wonder why I entitled this sermon “Abolishing the Laity!” What I have just said about Baptism is the source of the claim that we need to abolish the laity. There’s nothing wrong with being laity, except for when we start to think that lay folks aren’t called. When we respond to that grace we meet in baptism, we discover who we are called to be in the world. This font is where we meet our calling. Before I was an ordained clergyperson, I was baptized. Baptism is the ordination of the laity. Each and every one of us here is ordained to be servants of God in the world. We are all ordained. There’s nothing wrong with being laity as long as it isn’t a way to suggest that we aren’t all ordained to something. My baptism happened to lead me to ordination as a clergy person, to this font, this table, this pulpit and out into the world, but yours may call you somewhere else. That is the beauty of following the baptismal grace we share as members of Christ’s body. It is in the grace of baptism where we meet God’s claim on us, where we see that we bear the divine image. Return to God what belongs to God. It is our very lives, and all that we are. Stanley Hauerwas, Brazos Theological Commentary on the Bible: Matthew, (Grand Rapids: Brazos Press, 2006), p. 190. Susan G. Eastman, “Exegetical Perspective, “ Feasting on the Word, Year A, vol. 4, (Louisville: Westminster John Knox, 2011) p. 191. Richard E. Spalding, “Pastoral Perspective,” Feasting on the Word, Year A, vol. 4, (Louisville: Westminster John Knox, 2011), p. 190. “Baptismal Covenant I,” United Methodist Hymnal, (Nashville: UM Publishing House, 1989), p. 37. “Baptismal Covenant I,” UM Hymnal, p. 33.